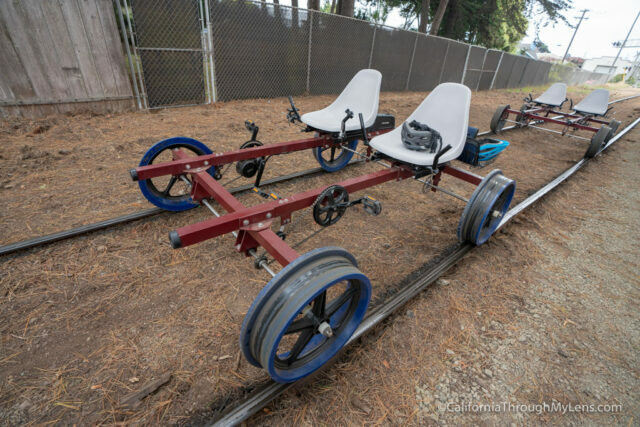 A few weeks back a friend of mine sent me a photo of the new railbikes that run on the Skunk Train tracks in Mendocino. 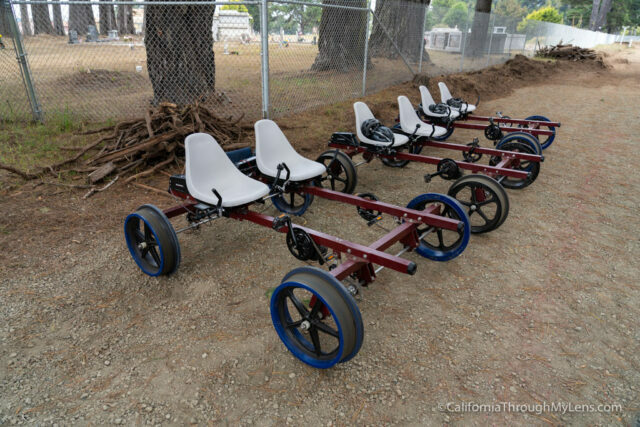 These unique “bikes” feature four large wheels that match up with the train tracks and two seats so that two people can pedal (or use the electric assist) along the tracks. 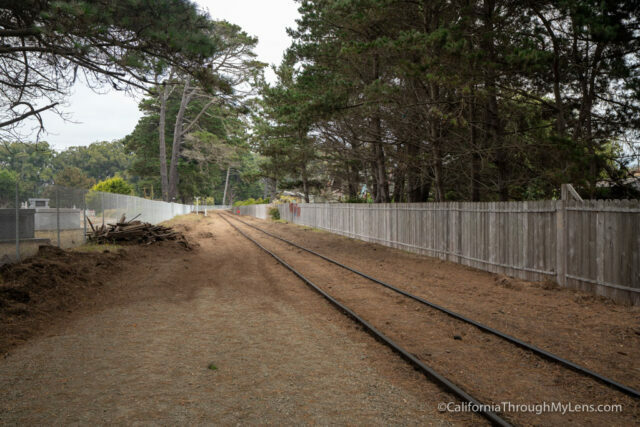 I had never seen anything like this before and I had a trip planned to the Mendocino area, so I jumped at a chance to check them out, here is all the information. Here is a short video I made of the experience. 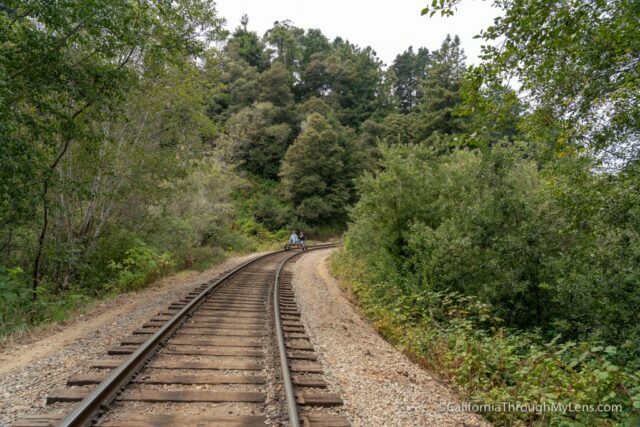 The check-in for the bikes is at the Skunk Train depot, where the Skunk train leaves from. 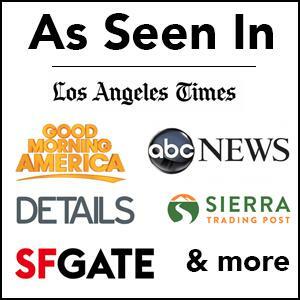 You can pick up your tickets here and then they will give you a map and direct you to where you go to meet the group. It is only about a 5-minute drive to get to the meeting area. We were told to get there 45 minutes early so we could check in and then have time to get an overview of the bikes before heading out. These bikes are electric, you can pedal them, but the electric assist makes it so that each pedal pushes the bike forward a lot. It is effortless to ride and should be ok for most people. 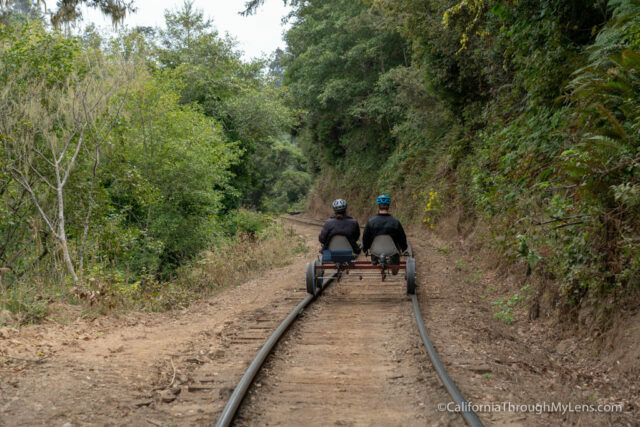 After getting an understanding of the process and assigning the driver for our group (Amie), we waited for the Skunk Train to pass so we could head out on the tracks. The bikes scooted along quickly and you only had to pedal if you wanted to as the bikes did most of the work. Having ridden the train the day before, it was interesting to see the area from this vantage point, and I feel like I had a better appreciation for the beauty while slowly going along on the bikes. 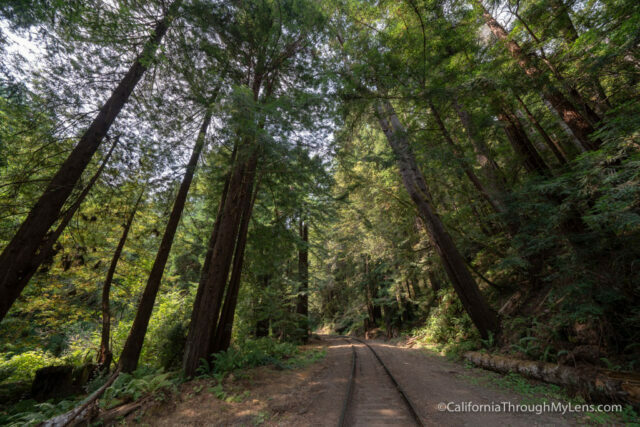 After about 15 minutes we got into the area where the redwoods started to appear, and it made the ride even more scenic. 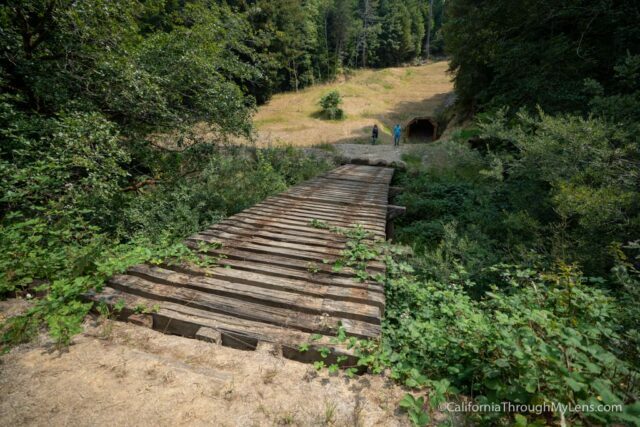 Eventually, we reached the turn around point (where the track literally ends), and we got off and explored a little bit before flipping the bikes around and heading back. Our guides were excellent as they didn’t push us to go too fast and just encouraged us to enjoy ourselves and take it all in. 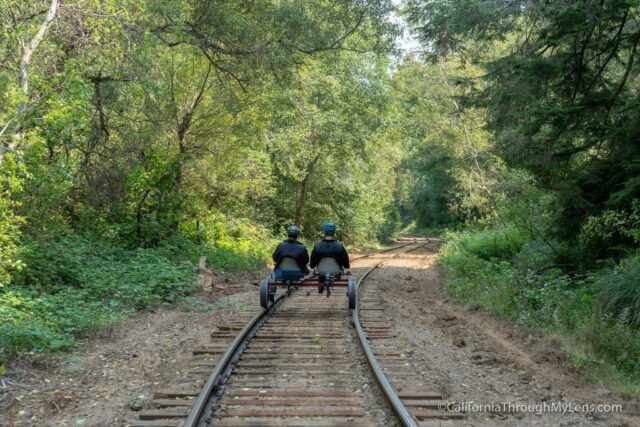 Since you are on a set track, you can look around a lot more as you don’t have to steer, you just have to keep yourself from hitting the person in front of you. 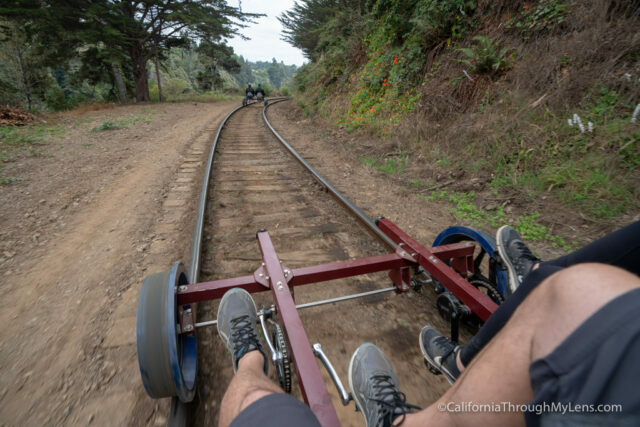 If you are in the Fort Bragg / Mendocino area, check out the railbikes. 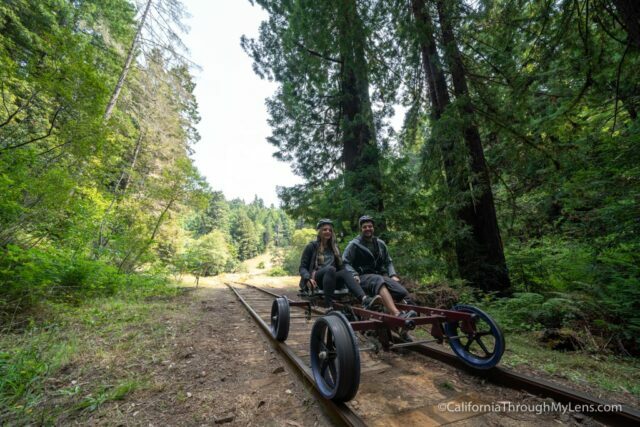 My wife and I had a blast on them, and I highly recommend it as it is the only railbikes I am aware of in California (let me know if you are aware of others).